RJC Yacht Sales & Charter announces the sale of the 130' Westport TDMY, ANTARES! RJC Yacht Sales is pleased to announce the sale and closing of the 130' 2008 Westport TDMY, ANTARES. Built as Hull #25 of Westport's 130' Series, ANTARES features beautiful raised panel Mahogany interior complimented by high style soft goods and stone work throughout. Her five stateroom layout features an on-deck master along with two additional king staterooms below and two twins. Powered by MTU 12V-4000's, the vessel cruises comfortably at 18 knots with 25 knot top end speed. Her 10,000 gallon fuel capacity provides for extended range of 2500 miles. Additional large yacht options include Naiad zero speed stabilizers, American bow & stern thrusters, twin 65KW Northern Light generators, (2) Sea Recovery watermakersand (2) tenders. The vessel will retain the name ANTARES and join RJC Yacht Charter fleet later in the year. 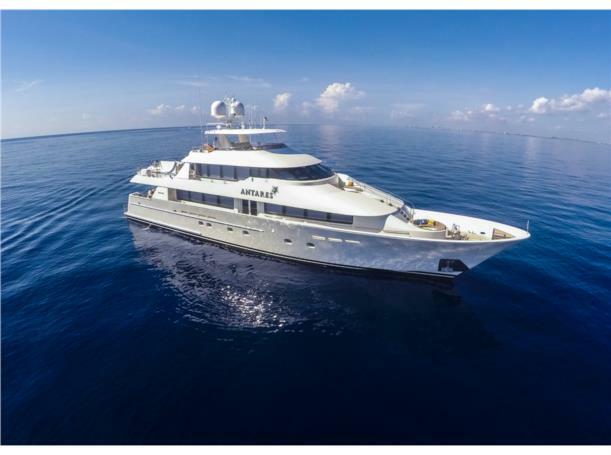 Raymond Young of RJC Yacht Sales represented the buyer.